From any helicopter pilot or owner’s perspective, these are some amazing times. Especially when you look at all the capabilities that are available today. From synthetic vision, to terrain and obstacle awareness, to infrared-based enhanced vision systems (EVS); to GPS navigation, traffic, weather and just about anything else you want, the functionality you can put in a panel today would even astound a futurist like Mr. Clarke. While the availability of affordable technology has certainly been an enabler behind many of these products, the real driving motivation for every manufacturer is the continual effort to improve helicopter safety. 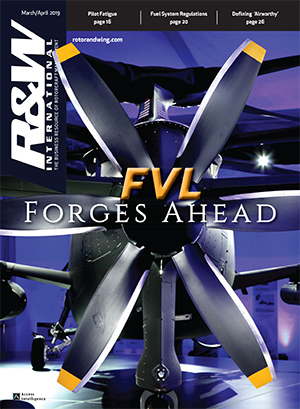 Unfortunately, the rotorcraft industry’s safety record is none too good. In fact, for the first time ever the U.S. National Transportation Safety Board (NTSB) has put helicopter operations on its “Most Wanted” list. According the NTSB report, between January 2003 and May 2013 there were 1,470 helicopter accidents resulting in 274 serious injuries and 477 fatalities. While there are a lot of reasons behind every incident, it’s a safe bet that safety-enhancing avionics could have been instrumental in turning many accidents into non-events. While he said that all these technologies are seeing increased implementation by a variety of operators, one upgrade in particular is quickly gaining in popularity – and it may surprise you. While there is a growing list of safety enhancing avionics upgrades to choose from, Wysong said one problem his shop continually deals with is trying to put it all in a helicopter’s very limited panel space. He said it’s not uncommon to finish even a relatively basic installation and need another two-days to do all the system programming and configuring of not only how the boxes work together, but how exactly the pilot wants things controlled and displayed. While it wasn’t long ago that glass upgrades were only available to the larger airframes, that’s no longer the case. Today, owner/operators have an expanding array of glass options from Aspen Avionics compact H-Series PFDs and MFDs (primary flight displays/multifunction displays), to the large-format displays from Cobham, Garmin, Universal Avionics, and others. 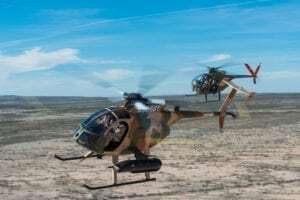 And while glass displays for airplanes and helicopters may basically look the same, Garmin’s Military and Government business development manager, Brett Harlow, stressed that at least in Garmin’s case, they’re not. 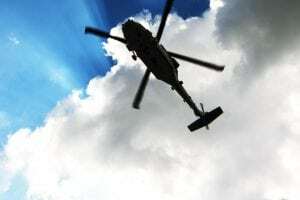 Whether you call it an enhanced ground proximity warning system (EGPWS) or helicopter terrain awareness and warning system (HTAWS), the systems pretty much do the same thing – provide an active way of knowing when terrain or known obstacles will become a hazard. Speaking of using technology to meet specific mission needs, Honeywell staff scientist, Yasuo Ishihara, added that one of the goals of the next-generation of EGPWS systems is to be customizable to meet specific types of operations. 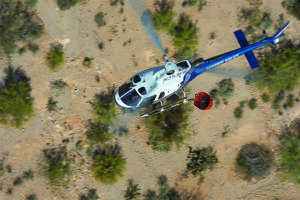 As helicopter operations in more congested environments increases, so does their need for active traffic avoidance capabilities. Because of their low cost and compact size, new-generation TAS systems are gaining popularity. For example, Avidyne’s TAS600 series systems provide real-time traffic monitoring and advisories of up to 50 transponder-equipped aircraft in it coverage area and can display up to nine of the nearest targets at any time. One of the system’s key features is its Heads-Up Audible Position Alerting, which uses the same aural alert terminology as ATC to provide aural indications of a conflicting aircraft’s bearing, range and relative altitude, enabling the helicopter pilot to quickly acquire the threat. 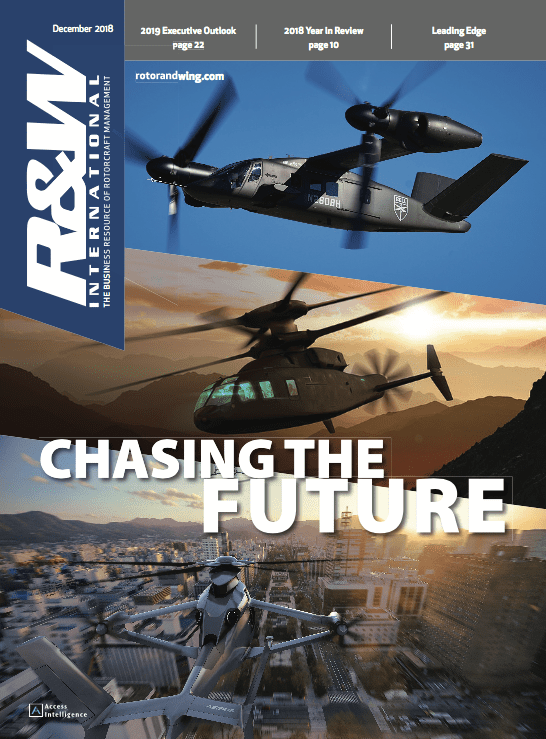 As Steve Wysong noted, with their ability to help stabilize helicopters in a variety of situations, today’s lightweight digital autopilots are really gaining traction in the EMS, law enforcement, electronic news gathering (ENG) and corporate areas. And one of the most popular systems, at least at his shop, is the new Cobham/S-TEC HeliSAS system. “Having an autopilot is a huge benefit. 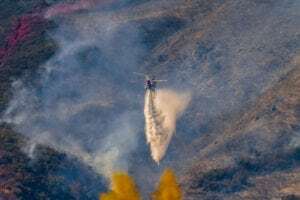 If a pilot does get into marginal weather or is somehow distracted, the system can help keep the helicopter stable,” he said. 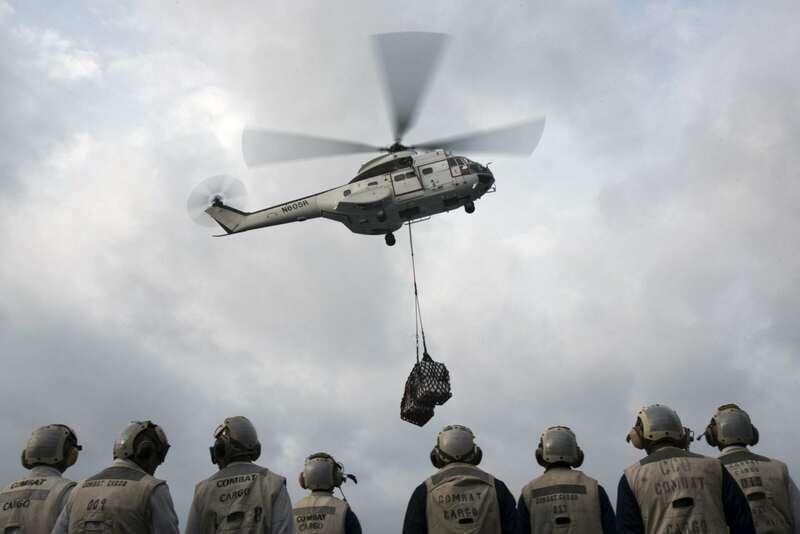 Another capability of particular importance to single-pilot operations is the HeliSAS’ stability augmentation system. SAS provides precise control during all modes of flight regardless of wind conditions or the aircraft’s center of gravity. In effect, it an automatically return the aircraft to near level flight with the touch of a button. Avidyne ATD150 digital display, courtesy of Avidyne. While synthetic vision is a great safety enhancing capability, it’s restricted in the sense that it can only show “known” obstacles and terrain. If it’s not known, it can’t be shown. That’s why an active enhanced vision system like the Max-Viz 1500 is such a great addition to any cockpit with or without synthetic vision. And to save valuable panel space, the Max-Viz EVS images can be viewed on any unit that accepts an RS170 video input such as the Garmin and Universal displays. If the helicopter is not equipped with compatible glass, the operator can install a small, dedicated EVS display. 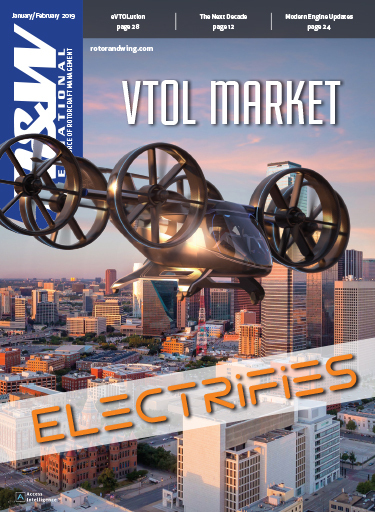 “I think that all helicopter operators need to know that in 2009, the FAA identified ‘look-ahead’ systems like EVS as the most effective safety tool available for mitigating CFIT an IIMC related accidents,” Farr said. While we’ve just touched on a few of the upgrades available today, there are plenty more to consider – one of the biggest being ADS-B capabilities. Although the current mandate for ADS-B installation doesn’t go into effect until 2020, Wysong cautions operators not to wait until 2019. Whether it’s SVS, EGPWS, HUMS, EVS or any of the growing list of available avionics upgrades, if it enhances safety, it should be on everyone’s Most Wanted list today. MD: "Bringing Back an American Legacy"